Your pet's annual health check-up will include a total physical exam, head to tail. Because even the most cooperative pet may not readily go-along with a tooth and gum brushing, an annual cleaning by your veterinarian maybe in order. Like you, your pet can have dental diseases, which is something we can address during the physical exam. Choose us as your veterinary team who are calm, compassionate and willing to explain everything necessary for your beloved pet. 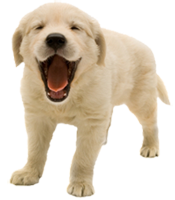 If necessary one of our veterinarians may refer you to a specialist, veterinarians who have completed advanced studies.